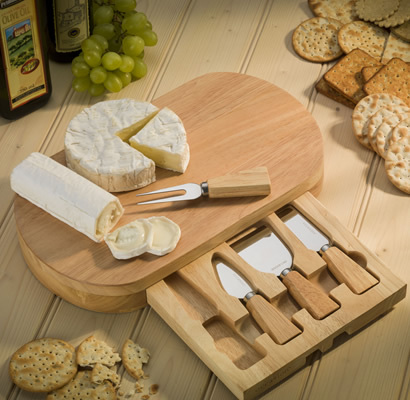 Home / Shop / Christmas Collection / Occasion Round Hevea Wood Cheese Board With Integrated Cheese Knife Set. 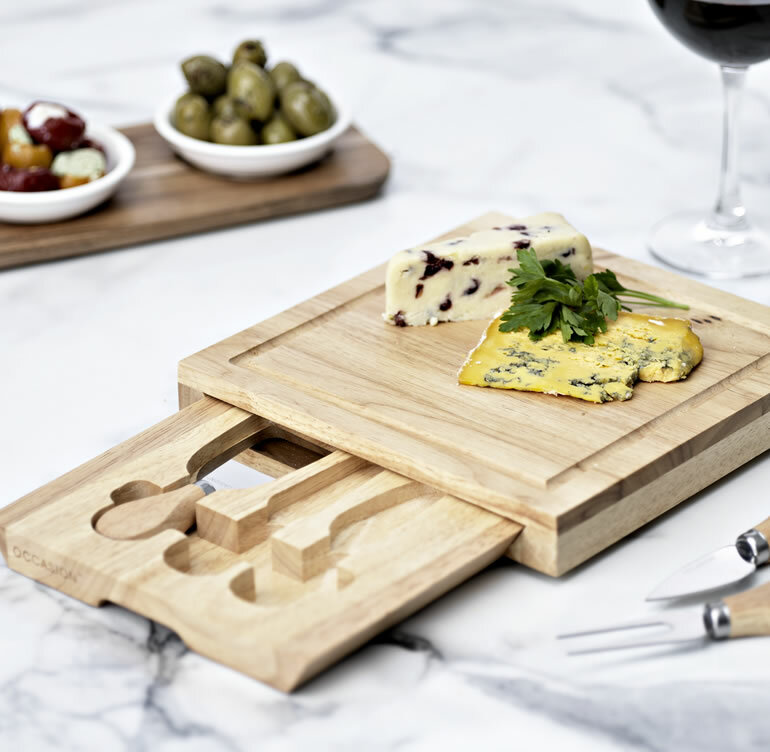 This gorgeous Occasion cheese board has a solid wooden base with a lazy Susan mechanism and comes complete with 4 cheese knives that store neatly underneath a glass top. 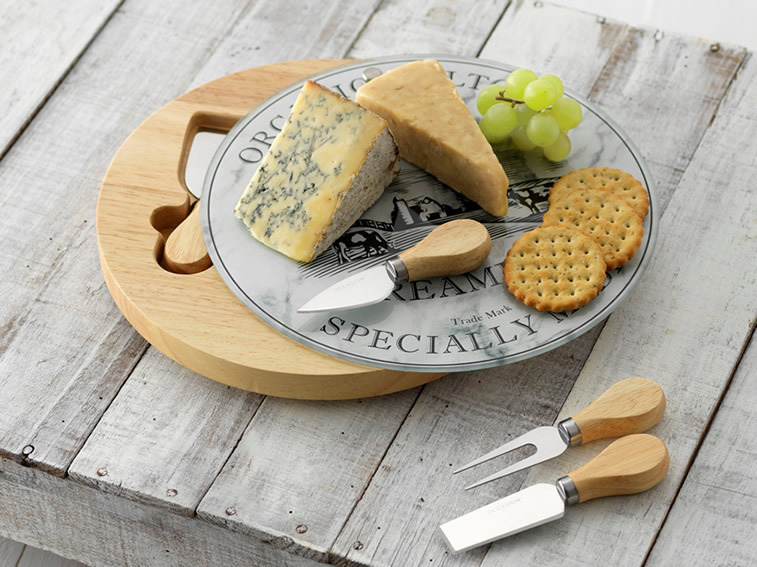 The cheese knives have handmade stainless steel blades with ceramic handles and the set includes a Stilton Knife, Cheddar Knife, Hard Cheese Knife and Cheese Fork. The glass top on the cheese board feature graphics inspired by the tradition and heritage of cheese making throughout the UK. Presented in a colour box making this item an ideal gift especially when matched with some of our best selling chutneys! Approx. box Dimensions: 27cm x 4cm.